This is mainly for the Dutch readers of this Soundtrack. It is about a guy who calls himself De Wilde Man, but his real name is Warren. I know this because he mentions it in one of his raps. De Wilde Man is a rapper. 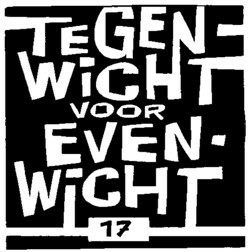 I recorded this from Tegenwicht voor Evenwicht, a weekly radioshow on KinkFM, hosted by the godfather of the Nederhop, Def P.
I have recorded as much of this program as I could. I began doing this many years ago, for my son, who loves rap. I made him CD’s with some of the raps that fit his young ears. The nice thing about the show is that Def P plays a lot of demos that listeners sent in. One of the people who sent in demos was De Wilde Man. For a while he was very popular among some of the listeners to the show, and he got more requests than any other rapper. I have no idea how many demos Def P got from him, but I have recorded about six raps. I always find it difficult to explain what I like about certain songs, and I prefer not even to try it. But anyone who uses a word like wappie can count me in on his list of fans. I have no idea what has become of Warren. Def P, and his sidekick Samiro, tried to get him into the studio for a while, but he never showed up. And if there has ever been a CD released (which I more than doubt), I don’t know where to get it. But if there are more than three requests, I will post another selection of my Wilde Man collection. you have my support to add th e other songs from Wildeman. Or can you send them by mail? does anybody have the MP3 version of these songs? ?